PowerSPOT Power Products provides a full range of products for most all types of short to medium term power needs. Our products are designed with multipurpose function in mind and are efficient, quiet and ready when you need them. The PowerFLASH by PowerSPOT is a revolutionary flashlight that completely recharges itself through built-in solar panels in the handle of the flashlight. In addition, the PowerFLASH is a multipurpose tool with a hammer and compass also built-in. Multi-function in mind, that is the PowerSPOT way! The PowerPAK MOVER features an 10000mah battery, two USB ports, and LED lamp light. This mini battery pack is perfect for charging DC devices. The PowerPAK MOVER can completly recharge from BUILT-IN solar panel. For those “power movers” who can’t be stopped for recharging phones or computers. The PowerPAK Mini Filtration System (MFS) is your on-the-go mini utility company. This system provides lifesaving Power, Light, and Water Filtration. Its a perfect system for camping, hiking, survival, and emergencies. 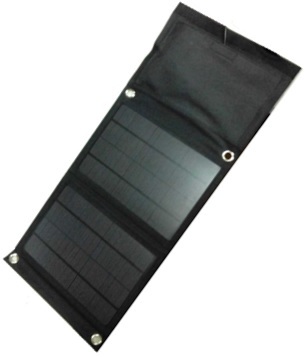 – The 10000mah battery provides renewable power (via the built-in solar panel) for charging phones and DC devices and is the heart of the powered filtration system. It also comes with a built-in LED lamp light. – The mini USB pump is a custom created pump for the PowerPAK MFS that can produce water at a rate of 44 gallons (unfiltered) per hour. When using the filter this means you get 1 gallon of clean filtered water every 5 minutes. – The PowerPAK Mini Filter is a 0.1 micron hollow filter filter that removes 99.99% of all dangerous bacteria and contaminants. All in a carry case that weighs only 1.2 lbs. Perfect for a backpack or purse.